about the quality of their products, are more trus tworthy and more authentic. four fabrics: cotton, Tencel, rayon, and polyester in the U.S.A., Europe and Japan. to pay a premium for feminine hygiene products that display the Seal of Cotton. 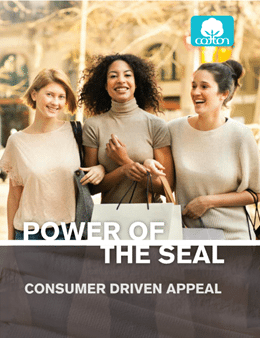 the Seal of Cotton would influence their feminine hygiene purchase decisions.